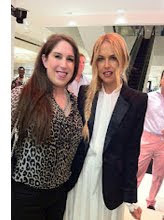 Yesterday I attended my 2nd Rachel Zoe event at Neiman Marcus Beverly Hills. 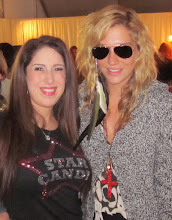 Yes, I just said I got to meet her twice! This event was a trunk show for her jewelry collection that will be arriving at all Neiman Marcus Stores in August. It is to die for. Absolutely AMAZING! The jewelry is Sixties and Seventies Art Deco Style. I can't even begin to tell you how fabulous it is! Here is a picture of Rachel wearing my favorite pieces from her collection. It is so gorgeous! The gold, the tassels, the bling! I couldn't resist trying on some items from her Fall 2012 Collection. All of Rachel's designs fit impeccably and have a flair that is distinctively Rachel. Each piece looks and feels like a one of a kind custom designed piece intended for only you. I fell in love with and had to purchase the Hutton Tuxedo Jacket and Pants Suit. Rachel did not miss a thing on this one. The jacket has a flattering slim fit and the matching pants are also slim fit with a boot cut. They are both perfect and are sure to flatter any figure. The material is high quality and feels very luxurious. In true Rachel style, this tuxedo suit has finishing touches including a satin lapel drawing attention inward and making a narrowing silhouette. The inside of the sleeves are lined in black satin which is a nice touch if you wanted to roll up the cuff. The pants also have a satin stripe running down sides to keep with the classic tuxedo look in the most feminine of ways. Leave it to Rachel to design the new power suit. Here are some pictures of it. You can purchase this suit here. These are some of the other items featured at the trunk show. I'm definitely going to be getting in line for this must have leopard clutch! 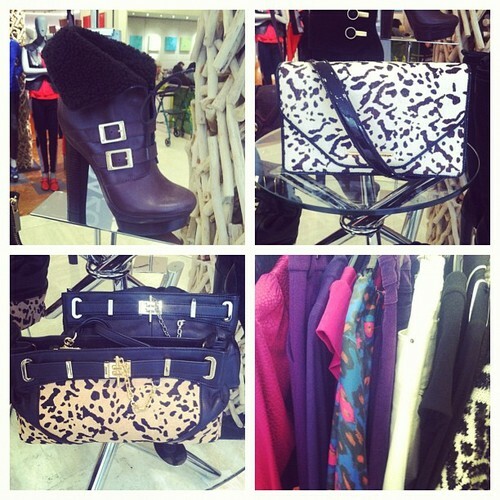 The Fall 2012 Collection is Ah-mazing! Thank you for reading my post! I love comments! So gorgeous I love her! hey girlllll! 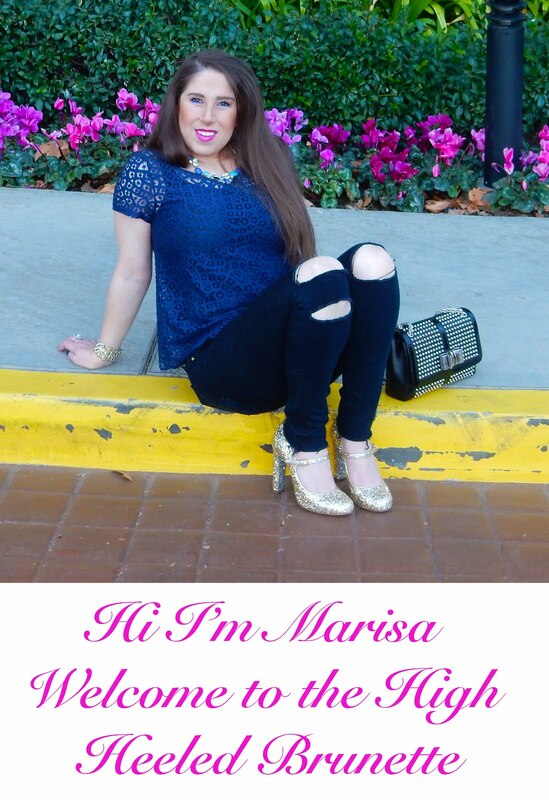 new follower from messy dirty hair! Love Rachel Zoe!! :) So cool you got to meet her 2 times! :) Stopping over from kelly at messy dirty hair.